This film is about a young boy (Joseph Cross) who loses his father (Michael Keaton) in a car accident. A year later, a Christmas miracle happens with the help of a magic harmonica and a lot of "high tech" special effects from the late 90s, e.g a lot of weird spinning and snow everywhere. 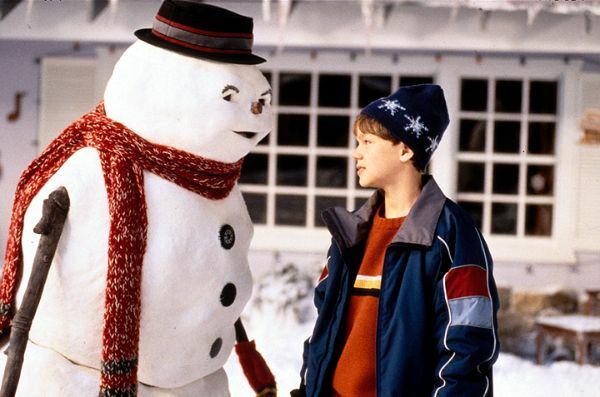 The Dad magically reincarnates himself as a snowman. It's an adventure to remember, believe me. Howard (Arnold Schwarzenegger) has left his Christmas shopping till the last minute and still needs to buy his son the new latest craze, a Turbo Man doll. The film follows his 'Black Friday-like' quest of finding the extremely popular sold out toy, as him and Myron (Sinbad) pretty much fight to the death over a doll. When the McCallister family are off to the airport for a holiday in France, they seem to be forgetting one of their 900 kids. The film follows 8 year old Kevin (Macaulay Culkin) living in luxury while dealing with 2 old men who keep trying to rob his house. I'm sure you've all seen it before! A feel good English comedy about 8 different couples and the run up till Christmas. Each story line is completely different to the next, yet they still manage to connect. It's something a little bit different to the rest of my list, but it's a great film and if you haven't seen it, where have you been? Plus, it is jam packed with big names including Hugh Grant, Emma Thompson, Alan Rickman, Nick from My Family, etc. So there you have my top 5 Christmas films you should definitely watch this week. I'm sure most of them will be on TV over the next few days. Is there any awesome Christmas films I've missed? Sunday Babble | 4 Sleeps To Go!